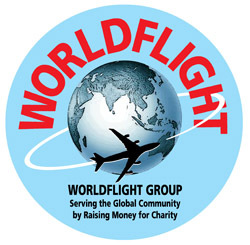 All individual WorldFlights have their own charity for which they collect money. You are cordially invited to contribute to any one of the WorldFlights you choose. Of course, since we are participating in UK World Flight this year, we encourage people to help out the Warwickshire & Northamptonshire Air Ambulance. The most direct way to help us is by using the JustGiving widget to the left. It will direct you to a UK-based secure site that is operated by a trusted third party and channels your donation straight to the WNAA. Feel free to donate in any other way you like! Even if you send money via PayPal to our mail address below it will end up at the right place. In case the JustGiving widget does not work for you, you can go directly to the donation web site.